When do you get your best work done? Is it when you shut yourself off in a meeting room, work from home for some peace and quiet, or sit in a café for a couple of hours? If you’re lucky enough to choose your work environment, you can choose what works well for you. But what if you’re office-bound? Whatever works for you, I bet the best work environment is not when you’re sitting in a crowded office, surrounded by people who interrupt you and e-mail that distracts you. And if that’s true for you, it’s probably true for your team members as well. And they probably have even less control over their work environment. The traditional office has its place. The traditional office still has many advantages: easy and fast access to colleagues, a more collaborative feel, and trust built through personal connections. However, it also tends to impose some inflexibility and rigidity, such as regular working hours, regular work days, a fixed work location, uninspiring furniture and fittings, expected work patterns, a uniform dress standard, IT policies about hardware and software, and HR policies about training and development. Even if you can’t control every office rule and policy, consider what you can do to accommodate your team members. Some flexibility might be completely within your authority, some might simply need permission, and some – if it’s important enough – is worth fighting for. Here are five areas where you can consider being more flexible for your team members. 1. Give them more work “places”. Outside the traditional office, workers are finding different places to work: home, cafes, shared offices, and co-working spaces. Even if team members spend most of their time at their own desks, consider some of these options as well. Other workspaces can increase productivity (if they find a quieter space to work on a complex task), creativity (by stepping outside their usual environment), collaboration (by engaging with others), and personal satisfaction (for example, if they work from home one day a week for family reasons). Ask your team members to suggest workspaces that suit them. 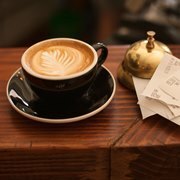 Some people work effectively in a café because the low-level buzz of human activity helps them (and the Journal of Consumer Research suggests this is especially effective for being creative). Others find that same noise too distracting, and would rather go home an hour early to spend time with their children, and then make up that time after their children go to bed. 2. Offer flexible working hours. Flexible working hours are not a new idea, but they are more valuable than ever, because your team members have so many other demands on their time. Parents with young families are the obvious example, but other people also appreciate the flexibility – for example, for being involved in a social cause, using a gym at off-peak times, and avoiding peak-hour traffic. Discuss this as a team and agree on the best way to accommodate this flexibility – for example: Schedule all meetings between 10am and 3pm (to allow people to start work late or leave early), ask for 24 hours’ notice of absence, or use a shared team calendar to show everybody’s planned working hours each week. 3. Let them manage their energy. It’s unreasonable to expect anybody to be fully focussed for the entire work day. A generation ago, workers took a break by going outside for a smoke; the modern equivalent could be checking Facebook, going for a walk, or even taking a nap. They will be more productive if they take regular breaks, and only they know what kind of break works best for them. Respect their ability to understand and manage their own energy during the day, and resist the temptation to criticise them for doing so. Your team members use their smartphones, tablets and personal computers at home, and might want to use them at work as well. This concept is known as BYOD (Bring Your Own Device). This is one area where you should be careful in exercising independent discretion, because there are legitimate concerns about IT security, data security, insurance, compatibility, legal requirements, and other issues . Be open to your team members’ requests, but check carefully with others in the organisation who are responsible for these areas. 5. Give them flexible learning options. Many organisations still choose the traditional training workshop as the default learning option for their in-office staff. Although it might be the best option, there are others as well – such as online courses, mentoring, shadowing, and presenting. Consider all of these options, and be open to the idea of looking outside the office. For example, many professional associations have mentoring programs for women, and that might be better for some of your team members than an internal mentor. Despite the inflexibility, some people enjoy working in an office. They like the social interaction, discipline of fixed working hours, and mentally having a separate place where they “go to work”. However, many of them would still appreciate more flexibility if it was available. Want to know more about extending your workplace and teams? There's more in the Workplace chapter of my book "There's An I in Team". In this chapter, we look at managing and facilitating the dynamics of different people in your workplace: in-office staff, telecommuters, contractors, and freelancers.